Every £104 invested will enable upOwa to install a 10Wp Solar Home System to a household previously living off-grid. Your investment will help upOwa to provide clean energy to 720 families in Cameroon. 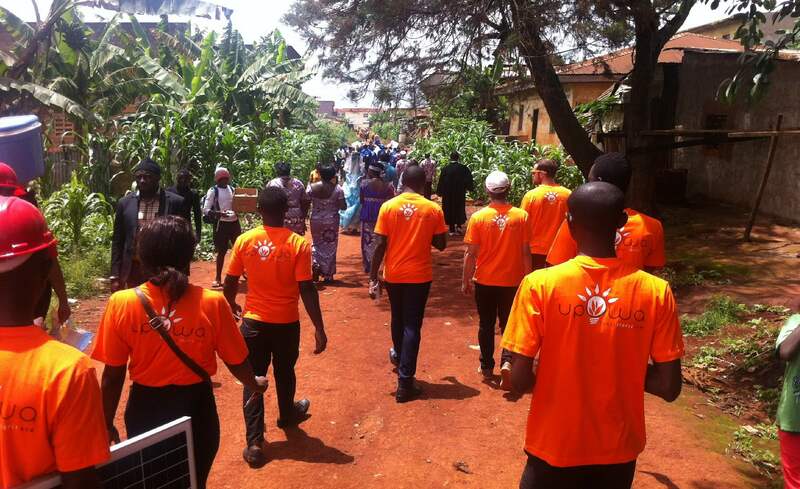 Founded in 2014, upOwa has a bold ambition; to make solar energy available to millions of households now living in the dark in Cameroon and across Central Africa. 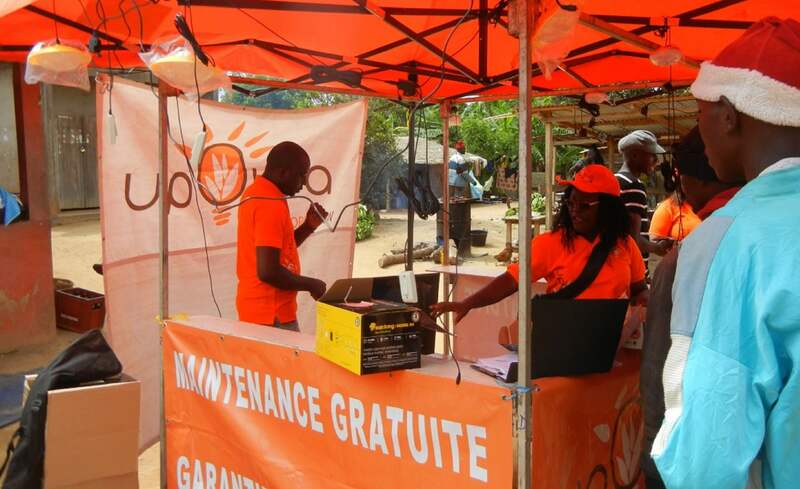 Since their incorporation upOwa has become the leading ‘pay-as-you-go’ solar company in Cameroon and is on the way to become a leader of the solar sector in Francophone African countries. 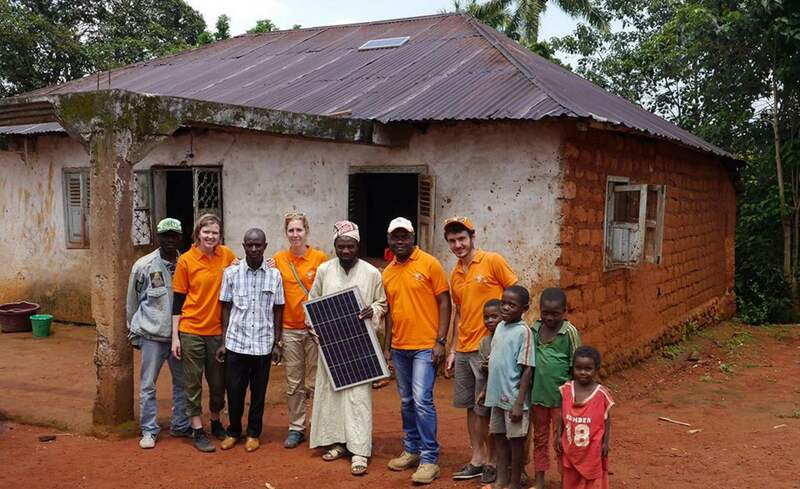 They have successfully installed up to 2,500 solar home systems across Cameroon with the aim to reach a further 50,000 beneficiaries over the next 6 months, and 1 million by 2023. This project benefits from match funding from UK aid. UK aid has provided an up-front match of £18,750, meaning that for every £3 invested into this project by the crowd an additional £1 will be invested through match funding. 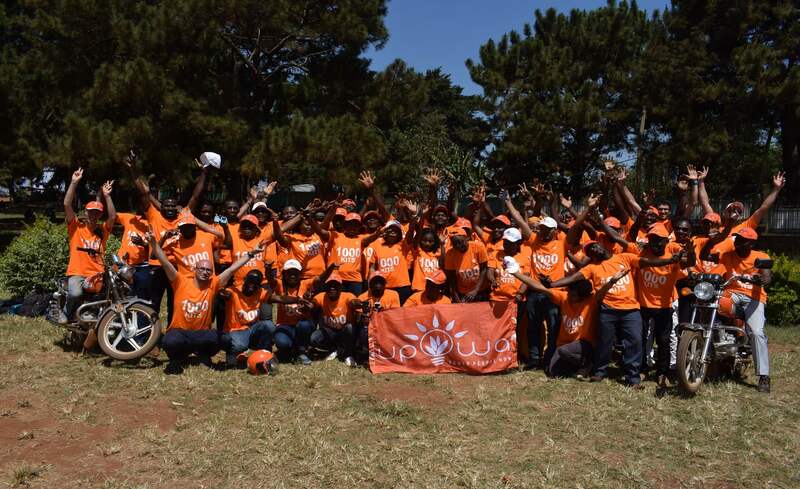 upOwa are one of the pioneering solar companies supported by the Energise Africa initiative, a joint venture between Lendahand and Ethex. Every £104 invested will allow upOwa to install a 10Wp Solar Home System ('SHS') to a household that was previously off-grid. With the funds from this raise, upOwa intend to supply 720 10Wp systems meaning that they will be able to bring electricity to 720 families previously off-grid in Cameroon. 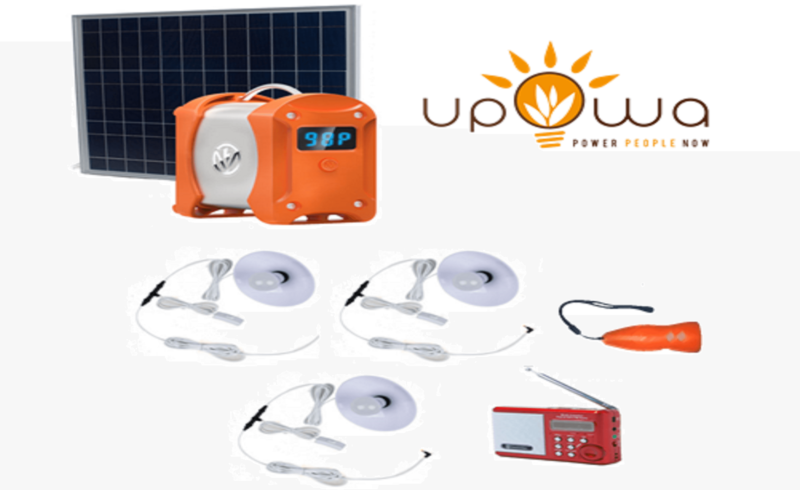 UpOwa’s entry-level offer is a solar home system composed of a solar panel, a control unit that includes a long-lasting lithium battery, a universal cell phone charger and 3 ceiling lamps. All products distributed by upOwa come from suppliers who are Lighting Global Certified. They also offer a mid-level system that allows for additional appliances such as an additional ceiling light, a radio and a torch to be added. UpOwa’s research shows that families living off-the-grid in rural Cameroon use an average of 4 cell phones per household. Those are out of battery most of the time, which forces users to travel a few hours to the next town at least once a week in order to recharge batteries. Thanks to the SHS's universal plug, phone charging can take place at home anytime, which allows users to save both a lot of time and money. As most clients can’t afford to pay upfront for the full value of their SHS, upOwa allows for a repayment scheme over 18 months at the end of which individuals own their system outright. UpOwa are looking to raise £75,000 from this bond issue and will use those funds to deploy a total of 720 SHS across Western and Central Cameroon from their regional hubs in Bafoussam and Yaoundé. In rural areas of Cameroon only 22% of individuals have access to electricity. Not only will your investment into this offer allow upOwa to provide electricity to off-grid families, but you'll also be helping the company to grow and provide further employment opportunities. In 5 years, upOwa aims to rapidly expand and has set itself 3 bold global objectives; to provide electricity to 1 million beneficiaries, to create 1,000 direct jobs and to save 2,000 ton of CO2. Solar home systems & lanterns have been shown to have a significant impact on customers' lives and the environment. 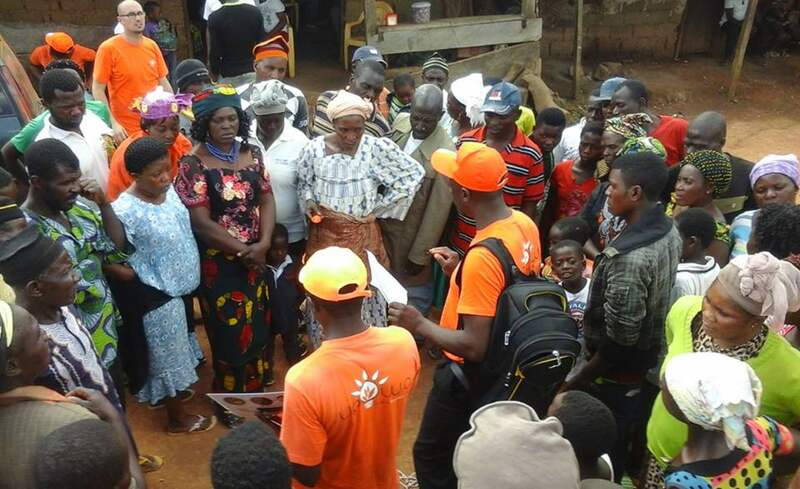 UpOwa has sold over 2,500 SHS in Cameroon since their incorporation, impacting the lives of roughly 12,500 people.